Owning a side by side means you understand what it feels like to not have very much storage space while you're out riding. When on the trails in your Yamaha YXZ, Wildcat or other model of machine, you want to utilize the space you do have. When it comes to creating products that use up every nook and cranny as cargo compartments, Rigg Gear is no rookie. If you�ve taken a liking to or purchased some of the other merchandise they make, you will love the Rigg Gear Rear Cargo Bag. UV treated, water resistant Trimax Ballistic nylon ensures a product that can outlast the elements. Reflective piping allows for visibility during nighttime. Dust and dirt can be a huge concern while on the trails; no one wants the contents of their storage to come out dirty at the end of the day. Reverse coil zippers help to keep out those dust and dirt particles, keeping your belongings cleaner. 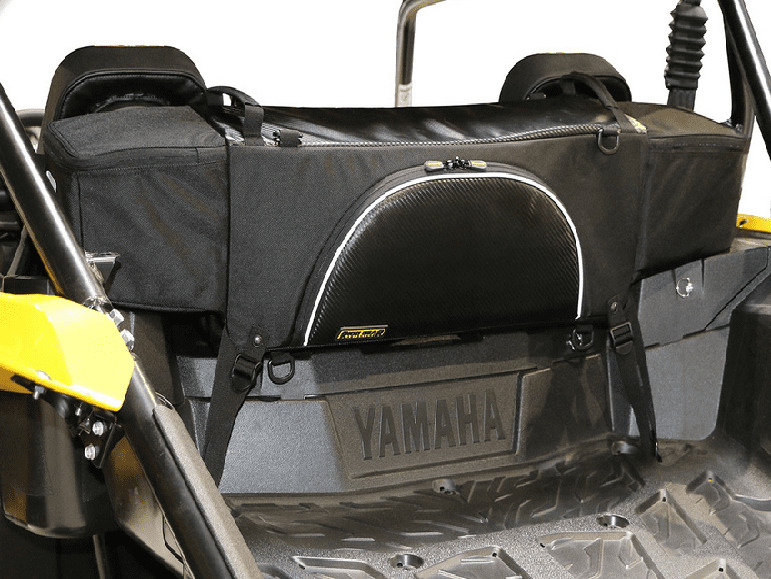 Universal, this cargo bag will attach to most factory roll cages and also comes with a lifetime manufacturer warranty.